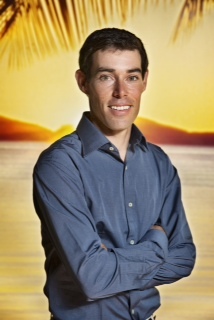 Hamilton Island Yacht Club (HIYC) has today set sail on its four-year Australian Challenge for the 35th America's Cup in 2017, with the announcement of Olympic Gold Medallist and ISAF Rolex Sailor of the Year, Mathew Belcher as its skipper and the christening of Team Australia’s AC45 catamaran. Val Oatley, Bob Oatley’s wife, unveilled the AC45 wingsail catamaran, dubbed the ‘little sister with attitude’ to the AC72, previously showcased at the 34th America’s Cup in 2013, at a christening at Team Australia’s Sydney base. 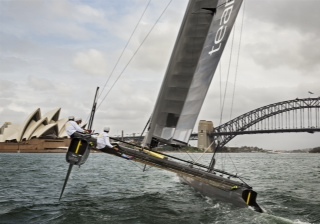 The AC45 can go faster than the Manly Ferry at three-four times the wind speed. Belcher, the 2013 Rolex ISAF World Sailor of Year, Olympic Champion, five-time World 470 Champion and quadruple 2013 ISAF Sailing World Cup Winner, will lead Team Australia’s first training sessions on iconic Sydney Harbour from March to June 2014 with Oracle Team USA. 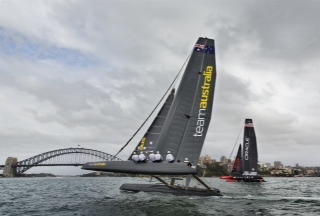 Team Australia will use the training sessions to rotate a number of crew through the boat, introducing them to the AC45 catamaran, as they race against Oracle Team USA. In parallel to these training sessions, Team Australia sailors will race on the global Extreme Sailing Series under the GAC Pindar banner. The Extreme Sailing Series is an elite level multihull stadium racing circuit with eight events held across the globe culminating with the final regatta in Sydney on December 10-14 2014. 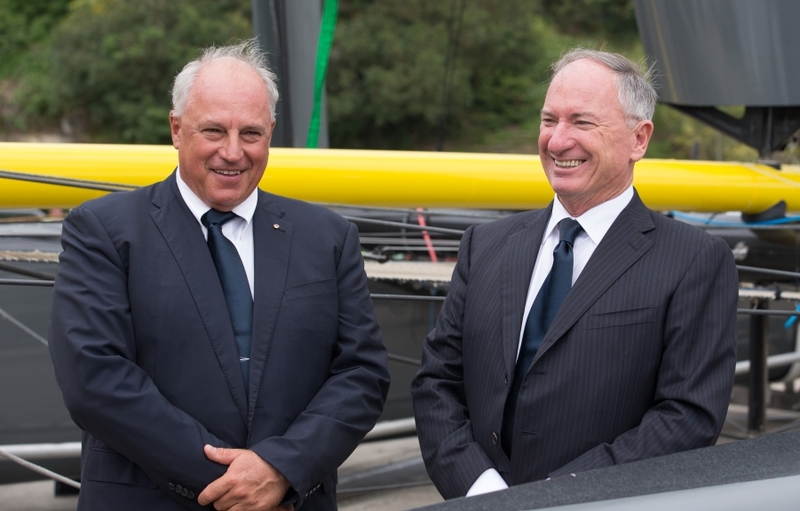 Iain Murray, CEO Team Australia, said Hamilton Island Yacht Club, as the Challenger of Record, was committed to making the 35th America’s Cup more accessible to other challengers by driving costs down. ‘Our aim is to make significant reductions to budgets in the order of 40 percent from previous America’s Cup challenges and we are working hard with Oracle as the Defender to achieve this outcome. In addition to demonstrating technology, we are keen for the immense talents of our sailors to be showcased. ‘Indeed, as a country, we’ve proven we can produce some of the best sailors in the world, and now it’s our turn to build an all-Aussie winning team skippered by one of most awarded Australian sailors. Mat is a remarkable example of an elite athlete and one of the most accomplished sailors that Australia has ever produced,’ explained Murray. ‘During the training sessions, a pool of Australian sailors will rotate through the boat, giving them a great opportunity to practice their skills. It’s a fantastic opportunity to have the defender wanting to come to our shores and spar with us.’ Murray said.